Three teenagers have been arrested on suspicion of murder after a 17-year-old was stabbed to death. Officers were called to a disturbance at around 9.29pm on Saturday in East Park Road, Ovenden, where a teenager was reported to have been stabbed. Police found two males with stab wounds and a third with a head injury and all three were taken to hospital for treatment. West Yorkshire Police said one of the stabbing victims, aged 17, died a short time later. The injuries to the other two males were not believed to be life threatening and both were in a stable condition. 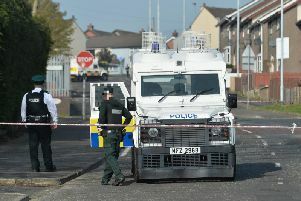 Three 17-year-old males have been arrested on suspicion of murder and remain in custody. Detective Chief Inspector Jim Griffiths, of the Homicide and Major Enquiries Team, said: "Our enquiries are at an early stage and are continuing, but we believe there were a significant number of witnesses to what happened." Anyone who saw what happened was asked to call 101, use the live chat facility on the West Yorkshire Police website, or contact Crimestoppers on 0800 555111.